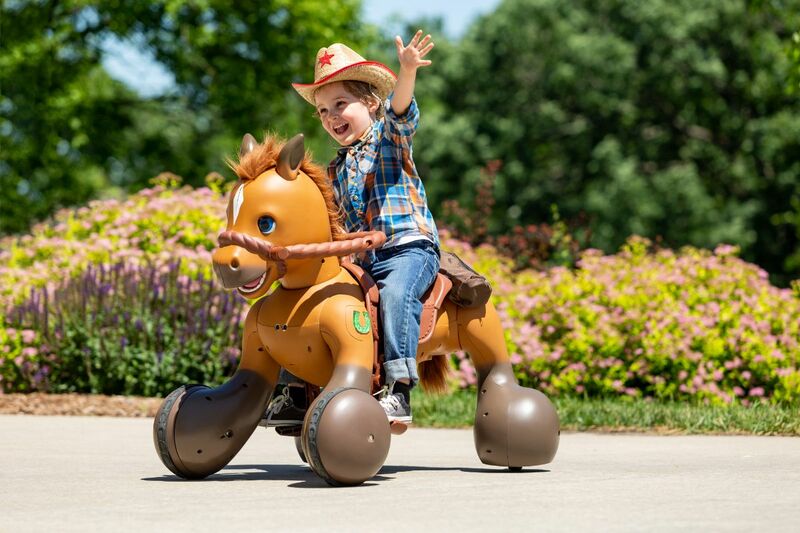 Meet Scout, a Rideamals toy from Kid Trax, a child’s new play pal! 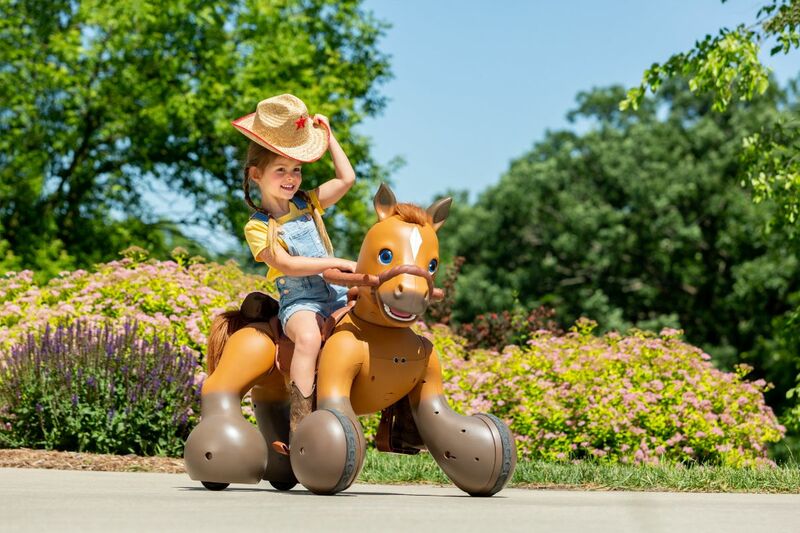 This adorable pony pal combines battery-powered ride-on toy fun with real interactive play, thanks to fully motorized eyes, ears, head, and wheels. 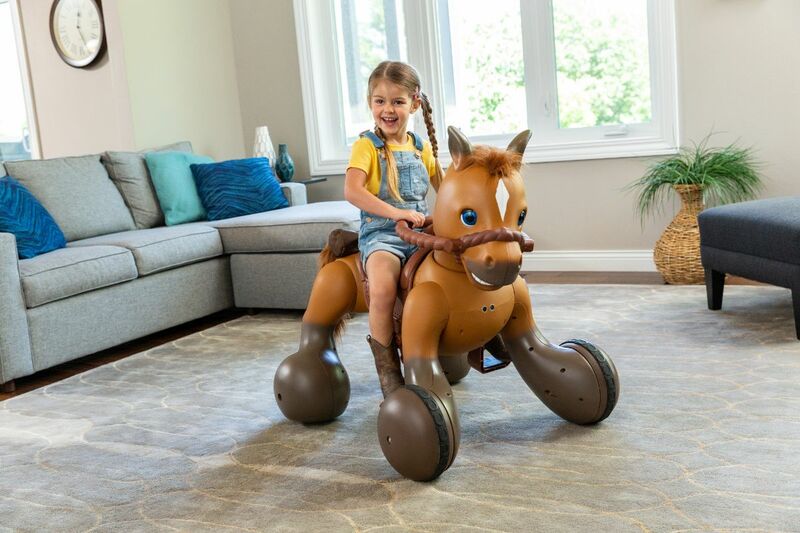 Kids can hear munching noises as they feed Scout a tasty treat, watch the pony’s ears move as they brush its mane, take Scout for a walk, and, of course, ride Scout! 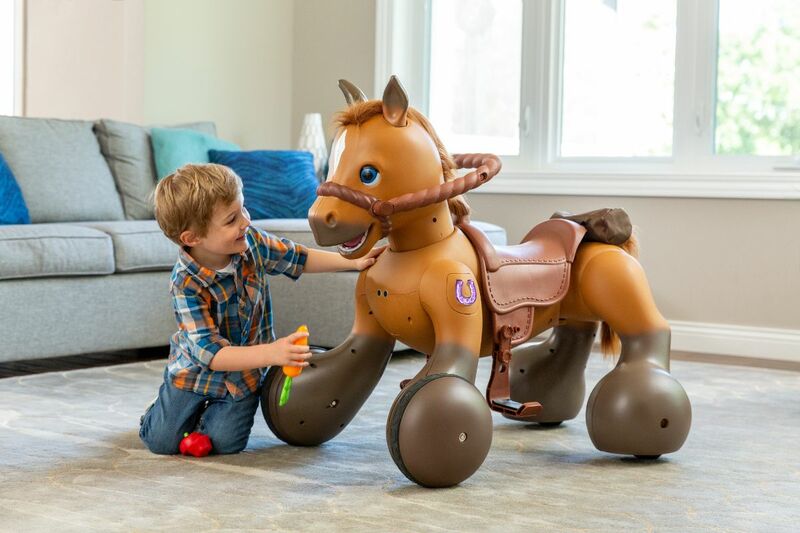 Children can go for a musical pony ride with two forward speed settings and one reverse speed; Scout can travel at up to four miles an hour—all while songs or pony sounds play in the background. 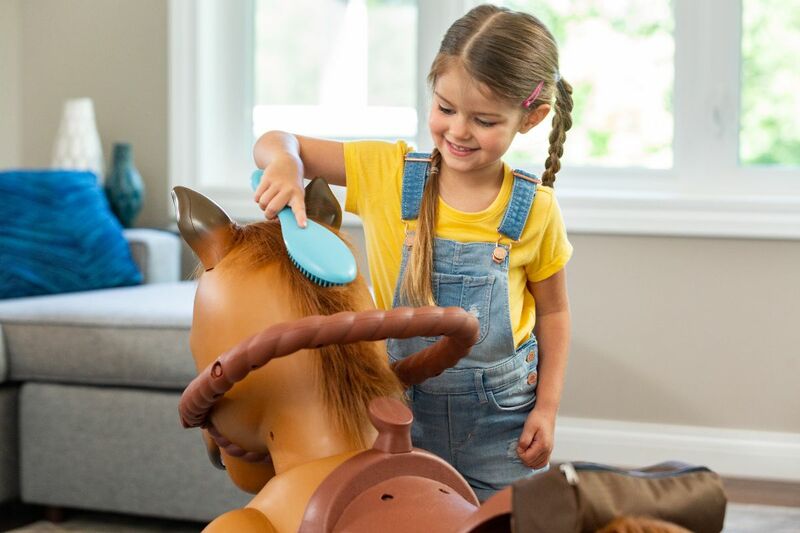 Scout a Rideamals by Kid Trax comes with a grooming brush, carrot, apple and saddlebag. Scout also comes with a rechargeable 12-volt battery and charger and is easy to recharge with the One Step Direct Connect charging system. 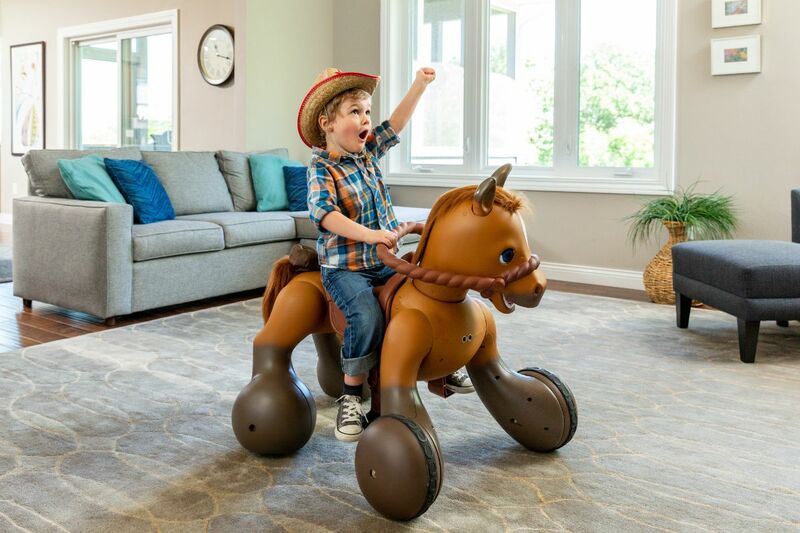 Rideamals Barn Play Tent and Pony Show Accessory Kit sold separately. With over 100 unique sounds and movements, including a special dance, Scout will create magical memories for your family. Over 100 unique sounds and movements ensure that every playtime is different from the last. 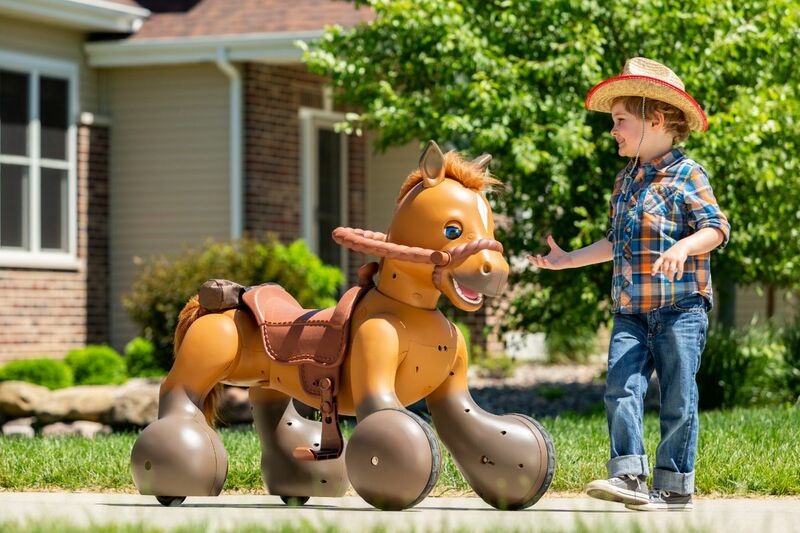 Fully motorized eyes, ears, head and wheels make Scout come to life! Interactive fun for boys and girls: Feed it, brush it, pet it, walk it, ride it or dance with Scout. Over 100 unique sounds and movements. 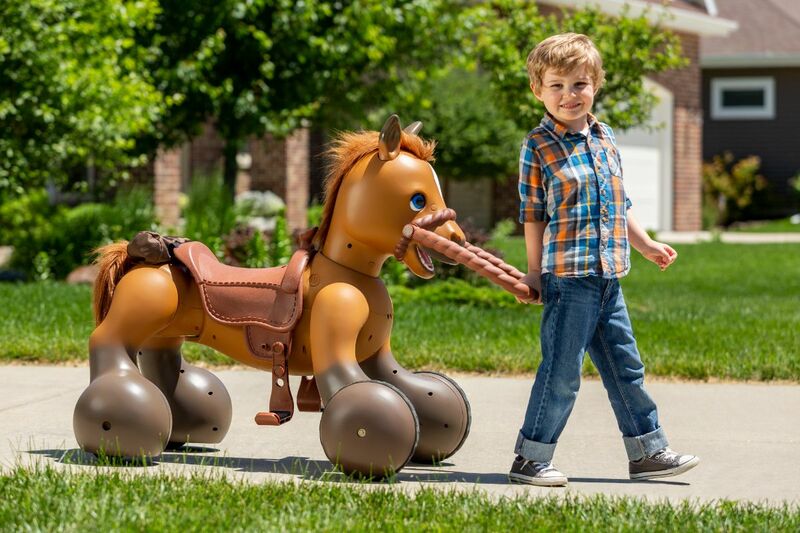 Walk or Ride: Scout can trot, gallop, or go backward. Sit in the saddle, hold the reins, pick your speed and you're on your way! Feed or Groom: Kids can hear munching noises as they feed Scout a tasty treat. Scout's ears move when its mane is brushed.